In addition to a wide range of disease-related burdens, patients with multiple sclerosis (MS) are challenged by long-term medication and complex disease management plans, often leading to decreased adherence. Earlier studies have indicated that patient support through intensified communication can positively impact adherence. During recent years, the use of mobile health applications has gained importance in patient communication and disease management. Our objective was to describe a novel software application providing innovative features that engage patient–physician contact and to evaluate users’ acceptance. A novel software application ensuring data security was developed. Various innovative modules have been implemented, enabling bidirectional communication between treating physicians and patients, supporting therapy monitoring and management, and allowing the collection of large sets of anonymous patient data. The currently conducted FASTER study will analyze the acceptance of patients and physicians using this novel application. PatientConcept is a free app available for download since 2016. Meanwhile, it has been successfully implemented. First preliminary results indicate high acceptance among users. The clinical benefit will have to be tested in larger patient populations. This ID-associated application may provide a secure, feasible, and cost-optimized possibility to intensify and simplify the communication between patients and their treating physicians, thus promising an exceptional benefit to both. To view enhanced digital features for this article go to https://doi.org/10.6084/m9.figshare.7844216. In addition to disease-related burdens such as visual disturbances, fatigue, depression, or impaired physical and cognitive abilities, patients with multiple sclerosis (MS) face long-term medication and complex disease management plans including regular follow-up visits. By experiencing phases of rapid disease progression alternating with prolonged periods of disease control, adherence to the prescribed therapy constitutes another great challenge for MS patients . The importance of adherence for improving therapy benefits has been highlighted by various MS studies reporting that adherence lowers hospitalizations, relapses, and health care costs [2, 3, 4, 5] and improves quality of life [6, 7]. Informing patients properly about disease and treatment issues is one of the key factors that can improve adherence. In this context, digital health is an area of growing interest for patients , using the internet for receiving medical information. Mobile health (mHealth) interventions including medical apps have become a rising part of this market . Various mHealth tools have been developed to ease disease management, monitoring, rehabilitation, and education of MS patients. However, the usage of available medical software applications is low when compared to the described high demand, which may partially be caused by concerns about privacy and security . 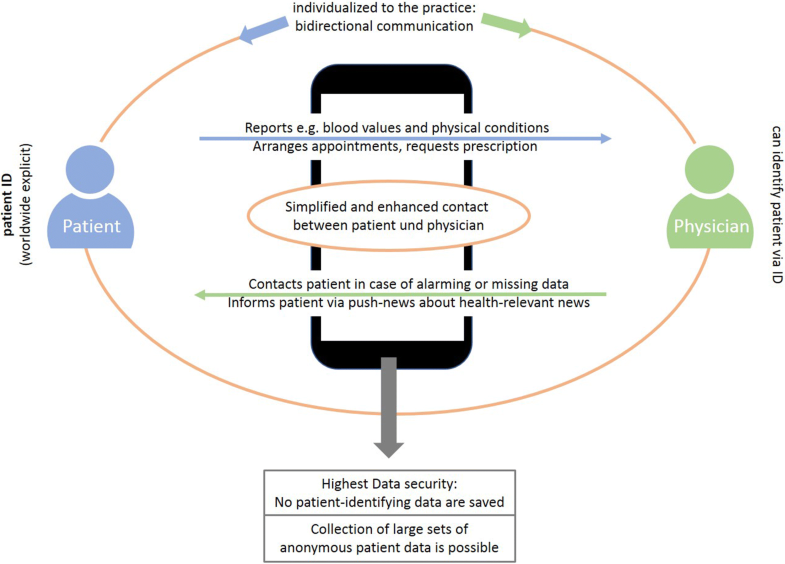 Therefore, we developed a novel mHealth application with unique security features to ensure data privacy while facilitating communication between patients and their treating physicians. In this report we present key features of this software application along with an outlook to the ongoing FASTER study, which has been designed to investigate the users’ acceptance of this application. This CE (Conformité Européenne)-certified mobile health software application was developed in 2016 by a multidisciplinary team of physicians (neurologists, psychiatrists, experts on diabetes) and statisticians in cooperation with an IT company with extensive technical knowledge and many years of experience in software development in compliance with essential health and safety requirements of Directive 93/42/EEC and the product-related harmonized standards and specifications DIN EN ISO 14971, DIN EN ISO 62304, IEC 62366, and DIN EN ISO 13485. The application was initially developed to support MS patients, who require extensive and complex therapy. Meanwhile, the application was further developed to be used across different other chronic diseases of multiple indications. The FASTER study (Focus on therapy ASsociated monitoring and evaluation of TElemedicine in Real world setting) is a non-interventional study currently conducted in up to 300 practices and clinics in Germany. All procedures performed in studies involving human participants were approved by the local ethics committee of the Landesärztekammer Baden-Württemberg (F-2016-013) and conform to the 1964 Helsinki declaration and its later amendments or comparable ethical standards. Informed consent was obtained from all individual participants included in the study. The primary goal of this study is to investigate the feasibility and acceptance of telemetric ECG and PatientConcept in daily routine. The study includes MS patients that are adjusted to Fingolimod (Gilenya®) according to approval criteria. For these patients, medication initiation requires initial and follow-up ECG measurements to minimize the risk of bradycardia or cardiac arrhythmia. For monitoring purposes, physicians from participating centers can apply either telemetry or the mobile application or both devices. To evaluate handling, acceptance, and utility of telemetric and mobile devices, patients as well as physicians from the participating centers can complete questionnaires inquiring about the usefulness and usability of PatientConcept App after 8 weeks of usage. In addition, demographic data, Expanded Disability Status Scale (EDSS), previous therapies, adverse reactions, time of diagnosis, and first symptoms are documented. Patients can answer questionnaires via their smartphone, physicians via the backend (dashboard of the application). The anonymized data will be analyzed descriptively. To ensure the highest data security, the app uses secure ID-associated data management. While other available apps require registration by the patient (name and often additional personal information), this server generates a unique alphanumeric code of variable length. For authentication an additional code number (modified IMEI number, determined during app installation) is used to avoid/complicate brute force attacks. Following the patients’ approval, the app generates a worldwide explicit ID for the users’ mobile device. Data management thereby distinguishes between medical data (e.g., blood values, disease history) and optional patient-identifying data (optional details: name, phone number, and date of birth, solely stored locally on the smartphone), allowing patients to record relevant health data and to submit these in encrypted form to the server without disclosing any identifying data. The backend is available to the physicians. Patients can voluntarily share their health data with selected physicians, practices, and/or pharmacies by providing their personal ID, allowing them the identification of the patient and allocation of corresponding health data (permission is explicitly required). Exclusively physicians with a valid account for the PatientConcept portal and in possession of this ID can access the patient’s health data, ensuring the highest safety standards (Fig. 1). As an additional important feature, this app can be individualized to the clinical center or practice during the registration process, allowing bidirectional communication between patients and their treating physicians. Patients can report health data (e.g., blood values), which are graphically presented to the physician/specialist. Owing to included risk management plans for different available medications (complying with the summary of product characteristics), the implemented Red-Flag Warning System can automatically inform the physician via Red-Flag email in case of missing responses or critical data (e.g., elevated blood values). Physicians can send messages to their patients, either to notify patients of a critical laboratory result or to inform patients via push-news about health-relevant aspects or practice-related news updates (Fig. 1). In addition, the app can provide patients’ mobility data (given the patients’ consent), using step tracking recorded via smartphone (data collected from health containers) to monitor patient mobility over a longer range of time. Diaries completed by the patient to capture migraine attacks, spasticity, blood sugar level, pregnancy, quality of life, depression, and fatigue further extend the possibilities of patient monitoring. Finally, the app offers various features that may facilitate the daily routine of chronically ill patients (Fig. 2). It allows for reminders to be set up for necessary and mandatory follow-up examinations depending on the respective therapy and often complex risk management plans, e.g., monitoring of liver enzymes or magnetic resonance tomography (MRT) examinations. In addition to a medication timer, appointment request module, and web-based calendars, the app facilitates requesting follow-up prescriptions of drugs and non-drug therapies (physiotherapy, ergotherapy) from the treating physician with minimal effort. The application offering the modules described above (Fig. 2) has been successfully implemented in Germany. It is available free to download via the German app store and can be used for both iOS and android smartphones or tablets. In 2017, more than 1800 patients generated a patient ID. A total of 279 patients actively documented their data online over a time period of a minimum of 1 month. Currently, nearly 2500 patients are using the app, of which many mainly make use of modules supporting therapy management (e.g., medication timer, appointment reminder, news, calendar function). To address a larger patient population, the application is multilingual (currently available in German and English; further languages including Italian, French, Turkish, Czech, and Spanish are in preparation). To date, 300 centers have been equipped with the PatientConcept App System and are involved in the FASTER study. Preliminary analyses of 92 MS patients included in the FASTER study indicate that the use of PatientConcept is well accepted; 51% of users stated that this app is a useful tool to communicate with the treatment center; 92% of patients were satisfied with currently available features and proposed no particular requests regarding further app functions (Fig. 3); 64% of these patients used more than one and 30% four or more modules, pointing out the utility as a multifunctional device. Fifty percent of physicians believed that this novel application might represent a useful tool to increase adherence. In this report we describe the development of a novel software application for patients with MS or other chronic diseases. 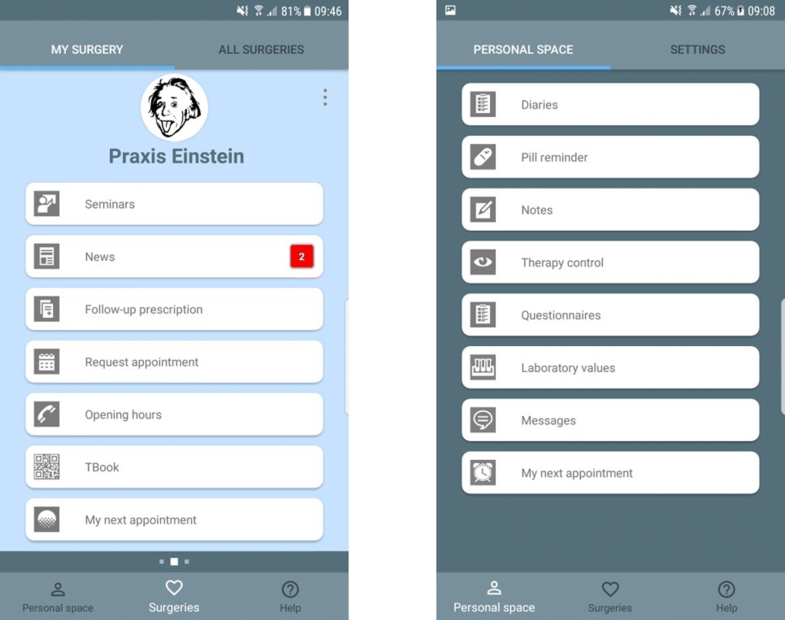 Compared to other mHealth applications such as MS Bioscreen, MS Buddy, MSdialog, MS Journal, or My MS Manager, PatientConcept offers a variety of advantages. One major advantage is the use of secure ID-associated data management, allowing the transmission of anonymous data. Currently, the usage of available medical software applications is low when compared to the described high demand, which may partially be caused by concerns about privacy and security . Therefore, data security always constitutes an important issue, particular when dealing with personal health data. This is the first app applying a worldwide explicit ID to the mobile device used by the patient, thereby clearly distinguishing between medical and patient data, ensuring security and data privacy. As no identifying data are transmitted to the server, the treating physician only can associate medical and identifying data if the patients provide their personal ID. This anonymous ID-based data management system potentially allows the continuous collection of disease-related and therapy-associated patient data for a prolonged period of time in an anonymous manner, providing large real-world data sets to assess therapy benefits or evaluate patient care. The app not only provides patients with relevant information and useful tools to manage daily life as a chronically ill patient but also allows bidirectional communication between patients and their physicians. Further, individualization to one of 300 providers’ practices allows patients to report their health data to their physician and bidirectional communication. Owing to the integrated automatic Red-Flag Warning System, physicians are rapidly informed in case of critical or missing data. On the other hand, no Red-Flag Warning implies that all necessary examinations have been carried out, documented well, and are within the standard range, thus helping to successfully implement risk management plans. By using this app, physicians may diminish time-consuming documentation and monitoring, saving valuable time while still being well informed about patient issues and therapy progress. Compared to existing mHealth application, another advantage of this application is its utility across different diseases and medications of multiple indications. Initially developed for patients with MS, the application can now be used also for patients suffering from other chronic neurological diseases such as migraine, depression, or mild cognitive impairment. Physicians therefore would no longer have to commit themselves to several different software-based patient support concepts, simplifying physicians’ administrative tasks such as monitoring and documentation and providing more time for addressing patient needs and concerns. Drawbacks of this device might include not all patients possessing the ability to enter relevant laboratory data via the app because of mobility, visual, or cognitive impairment. To overcome this limitation, an automatic data recognition system is currently being developed. In addition, this app does not address screening and assessment of patients, which should be taken into consideration for further developmental steps. An essential step in understanding the feasibility and long-term values when applying such technology constitutes obtaining physicians’ and patients’ perception. For this purpose, the FASTER study was initiated to provide solid data on potential benefits of this application by evaluating its usability and benefit in chronically ill patients. Preliminary analyses indicate that our approach is well recognized and perceived as useful in the practice by both MS patients and physicians. These results support previous findings describing high acceptance and interest in the regular use of modern communication technologies by MS patients . Earlier studies monitoring patients in a patient support program clearly showed that medication adherence improved with increasing patient support via patient academy, MS nurse, or physicians . Further, a meta-analysis revealed a positive influence of mHealth concepts on adherence in two-thirds of the 20 analyzed studies . Owing to the beneficial features described above, this software application is a promising candidate to positively influence the patient–physician relationship and thereby improve adherence issues. Conducting the necessary large trials with a broad population of patients utilizing the app requires patients’ and physicians’ engagement to understand the clinical benefit of PatientConcept. Many patients cannot easily access available services because of time, cost, and geographical constraints . As the number of mobile phone users in the world is expected to surpass the five billion mark by 2019 (67% of the population worldwide) , technical advancements mean that this app offers the advantage of easy availability to a broad community, suggesting that the app will be a useful and supporting tool for a broad patient cohort. Importantly, this software application should not only be considered as a short- to medium-term intervention to potentially improve adherence but instead should be part of an integrated patient support program, leading to sustained benefit for both patients and physicians. It should neither replace personal consultations nor bring into question the importance of face-to-face communication, but may provide an easy, feasible, and cost-optimized possibility to intensify and facilitate communication between MS patients and their physicians. This novel and innovative CE-certified software application was invented to intensify and facilitate communication between MS patients and their physicians. The application ensures patient anonymity when transferring data online and promises to create exceptional benefit to both physicians and patients. 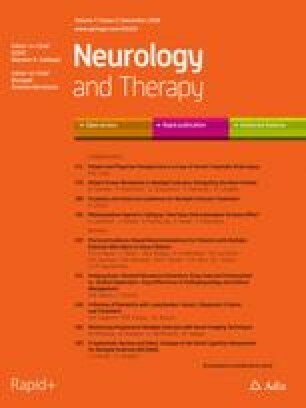 It is a valuable instrument to collect patient-reported outcomes and may provide a feasible and cost-optimized possibility to ease bidirectional communication between patients and their treating physicians, intensifying their relationship, and accelerating further steps in the treatment regimen. Certainly, the app can be used not only for MS patients but across different diseases of multiple indications. Physicians therefore would no longer have to commit themselves to several different software-based patient support concepts, thereby simplifying physicians’ administrative tasks and providing more time for patient care. Preliminary results indicate high acceptance among users. Ongoing and further trials will inform about the clinical benefit of app usage. We thank all participants and involved centers of the FASTER study. For 3 years the PatientConcept system has been receiving continuous financial support from study projects and from the Bavarian state, Germany, Neuropoint Patient Academy and Systemhaus Ulm, Bayer and Sanofi Genzyme. No funding or sponsorship was received for the publication of this study. Editorial support (writing assistance, based on authors’ detailed directions) was provided by Katrin Blumbach (med:unit GmbH). Michael Lang has received travel grants, speaker’s honoraria, financial research support, consultancy fees from Teva, Merck Serono, Genzyme-Sanofi, Novartis, Bayer, Biogen. Lukas Cepek has received travel grants, speaker’s honoraria, financial research support, consultancy fees from Teva, Merck Serono, Genzyme-Sanofi, Novartis, Bayer, Biogen. Stefan Ringbauer and Martin Mayr have nothing to disclose. All procedures performed in studies involving human participants were approved by the local ethics committee of the Landesärztekammer Baden-Württemberg (F-2016-013) and conform to the 1964 Helsinki declaration and its later amendments or comparable ethical standards. Informed consent was obtained from all individual participants included in the study. Statista. Number of mobile phone users worldwide from 2013 to 2019 [online]. https://www.statista.com/statistics/274774/forecast-of-mobile-phone-users-worldwide/.